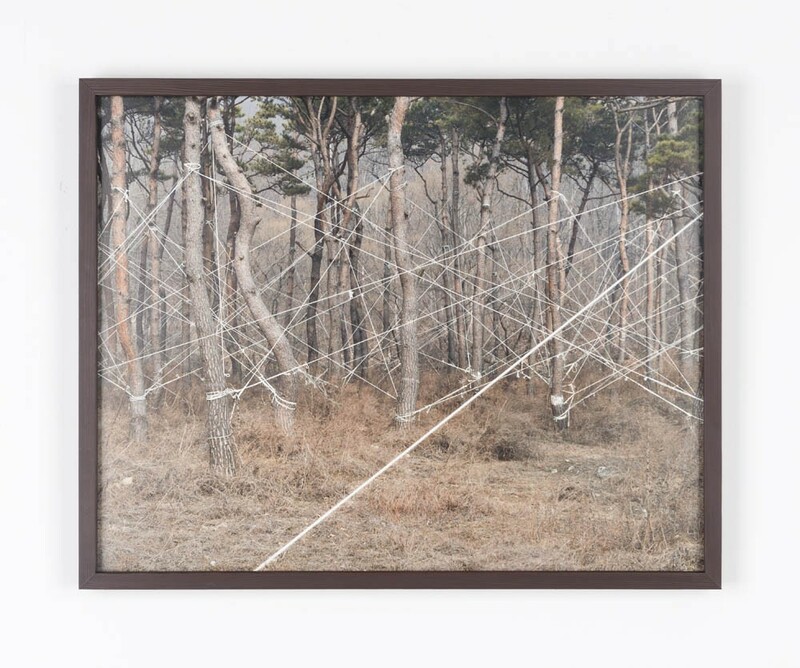 As we were driving around the outskirts of the small industrial city where we lived, in the midst of the hills we spotted a plot of pine trees, all tied and fixed to the ground with ropes. These trees are grown for the landscaped gardens in the newly built apartment towns. When the trees are fully grown they are removed and transferred leaving almost no trace. 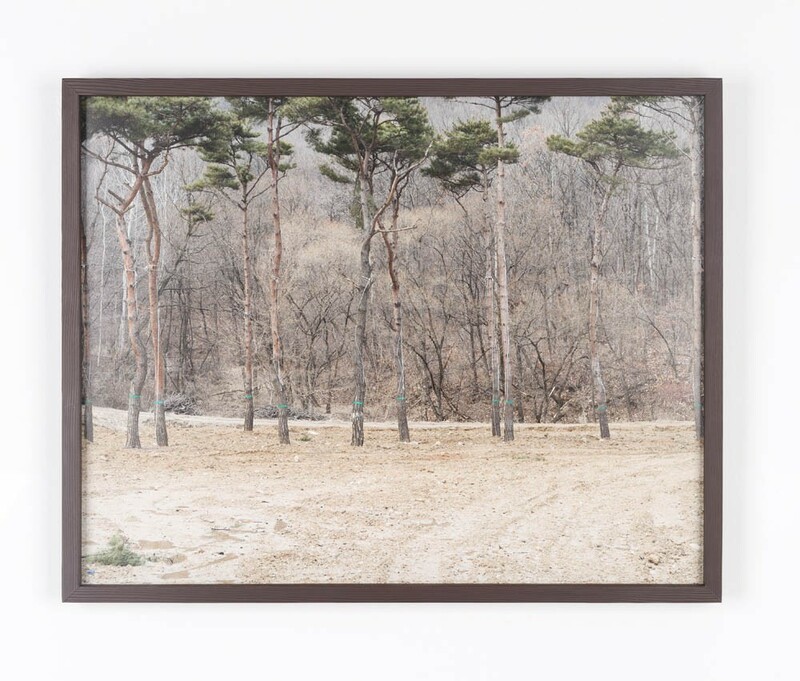 This photographic diptych, Before and After 2015/2016, document the Before and After of such pine-farm, without illustrating any process or proper context. The dramatic appearance and disappearance - being securely tied down and disappearing without a trace - symbolises a system that cannot be seen but definitely exists and excercises a total control.